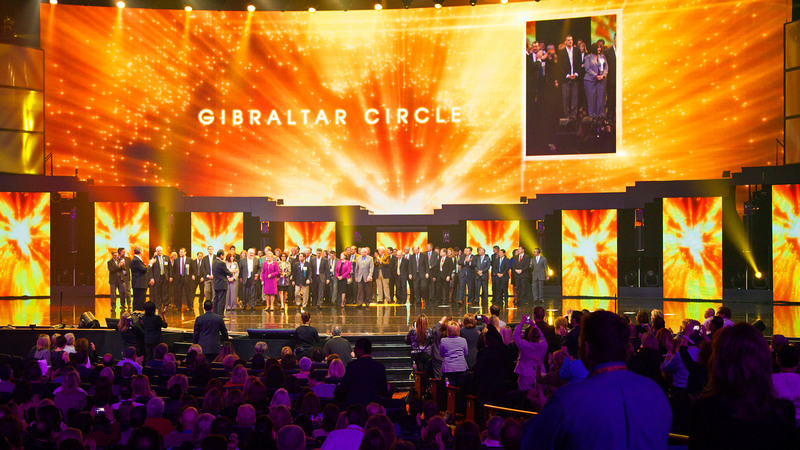 Corporate Magic’s solution was to recognize hundreds of top selling brokers in a fast paced, invigorating, yet personalized way and increase convention attendance. 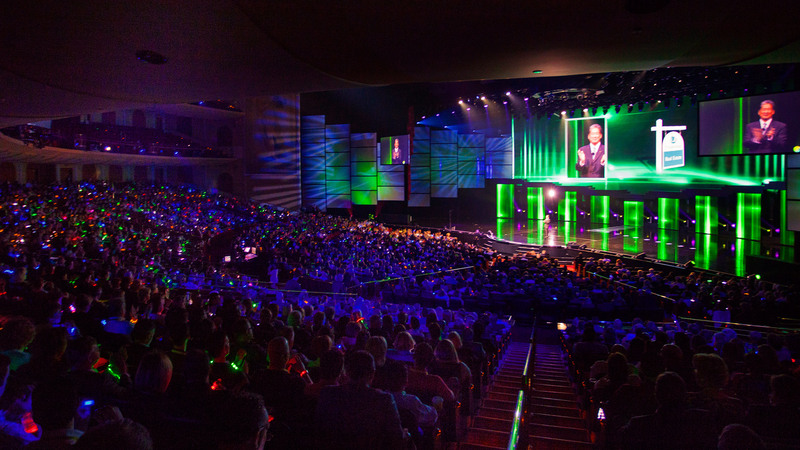 In addition to recognizing its top producers, the new logo, visual identity and game plan for the Berkshire Hathaway HomeServices brand was revealed for the first time in an elaborate production set on Celine Dion’s stage at Caesar’s Palace. 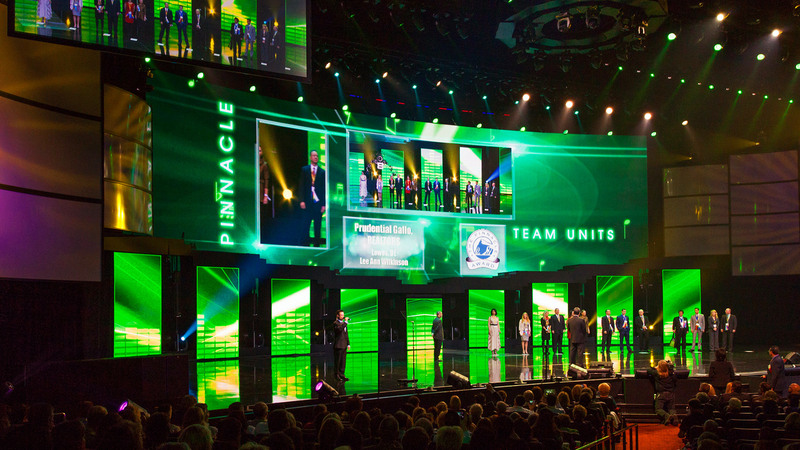 The centerpiece of The Coloseum’s stage is a 34’ x 110’ LED screen, rivaled only by the world’s largest LED screen hanging in Dallas Cowboys Stadium in Arlington, Texas. Underneath the giant 11mm high-resolution screen were nine LED panel screens ranging in size from 2′ x 6′ to 8′ x 6′, also from Celine’s set. 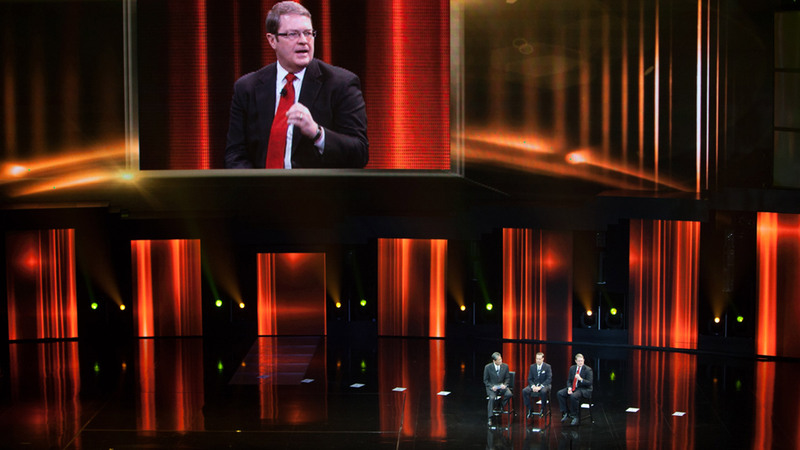 Projection screens measuring 16’ x 9’ flanked each side of the giant video wall. 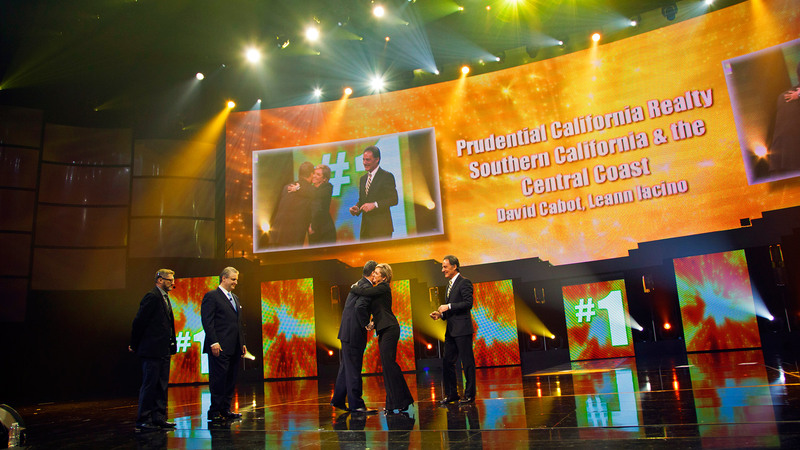 Because this year’s convention held special importance, Prudential Real Estate tasked Corporate Magic with the challenge of delivering the event to the company’s entire 50,000-plus-person network. 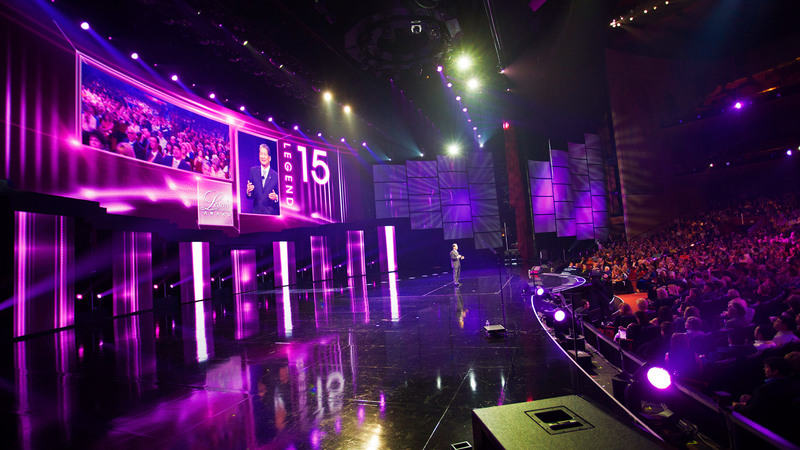 Corporate Magic’s solution was to produce a daily “Web Blast”, featuring HD footage of the show packaged with two actor-hosts narrating the entire two days of events.